8.00 Holy Communion – A quiet and simple said service, using Common Worship. On the first Sunday of the month, this service is replaced by Morning Prayer. 9.30 Sung Eucharist with Sermon – The main service of the day, using Common Worship. 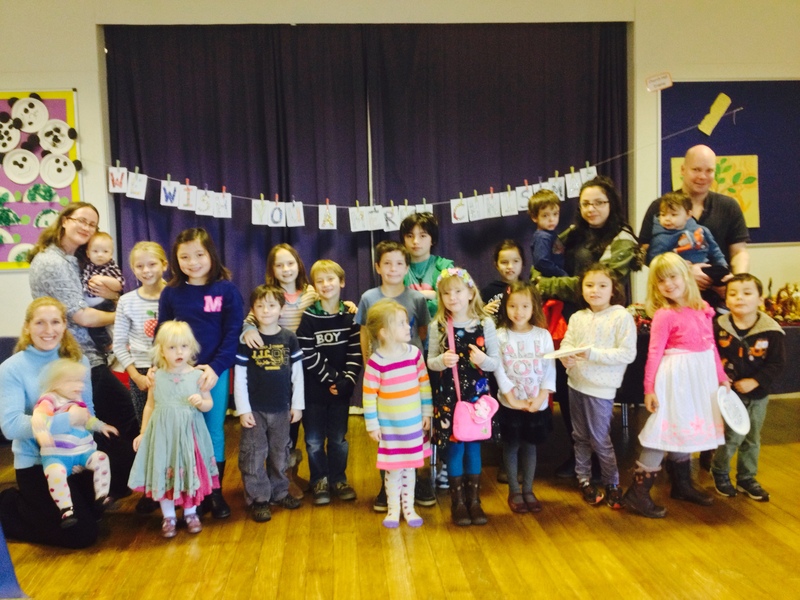 9.30 Children’s Church (during school terms) – in the Church Hall. 10.30 Parish Praise – On the fourth Sunday of alternate months this service is held in St Anne’s School, replacing the usual Sung Eucharist and Children’s Church. 6.30 Evensong with Sermon – This sung service takes place in the Chancel, using the traditional liturgy of the Book of Common Prayer. On Parish Praise Sundays, Evensong is replaced by Book of Common Prayer Holy Communion. 9.45 on Thursdays Holy Communion – A quiet and simple said service, using Common Worship. Holy Communion is taken to The Chestnuts and McCartney House once a month, and by request to any who are housebound.. There is also a monthly ecumenical service at Rectory Gardens. Baptisms – Baptismal services are usually held at 11.30 on the first Sunday of the month, but special arrangements can be made to hold them during the 9.30 Sung Eucharist service or at other times. Signed Services – On the fourth Sunday of each month, either at the 9.30 Sung Eucharist service or, on alternate months, at the Parish Praise service, the whole service is signed for the benefit of those with hearing difficulties. Please sit on the right hand side of the Church if you require this facility. Healing Services – On the third Sunday of each month, we offer Prayer for Healing and Wholeness, and Anointing, during the administration of communion at the main 9.30 Eucharist. Those who wish to receive prayer, either for themselves or on behalf of someone else or for any other matter, are invited to come forward either before or after receiving communion, or instead of doing so, as they wish. There is also the opportunity to receive anointing with Holy Oil by a priest, which is an ancient symbol of the healing and reconciling power of God. The Vicar would always be pleased to answer any queries people might have about this kind of prayer and the anointing”. We have an enthusiastic mixed choir of young singers, ladies and men. Numbers vary slightly inevitably as people come and go, but over the years we have always maintained a choir strength in excess of 20. We also have a loyal team of augmenters who are unable to commit themselves to regular attendance but who willingly join us for special occasions or during holiday periods when some regular members are away. Apart from the main festivals of the year, which are always well supported, the primary focus of the choir is the 9.30 Sung Eucharist on Sunday mornings. However, a small choir is always present on Sunday evenings to lead the singing for the BCP Evensong. Choir practices are held every Friday evening (except in August) in the church hall from 7.30 to 8.30. 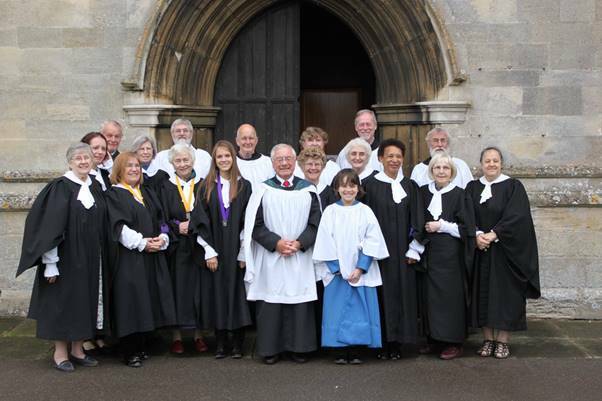 New members are always welcome, and would anyone interested in joining the choir, either full-time or as an augmenter, please contact the Organist and Choirmaster (see Contact Us). Usually, we take our theme from a Bible story of the day, with a telling of the story, discussion, prayer, games, songs and craft. Sessions are very informal and all are welcome. We are happy for you to visit us. At the end of the session, parents collect their children from the hall and take them across to church to join in communion or a blessing and for the final part of the service. Once a month, there is no separate Children’s Church, but we are involved in the Parish Praise service at St Anne’s School or in church for the whole of the 9.30 service. The Children’s Church also runs stalls at the church summer fete, the Michaelmas Fayre at St Anne’s School and the Christmas bazaar. We also organise the Nativity play on Christmas Eve in church, and help with Christingle, Parish Praise, Mothering Sunday, the annual Pancake Race and many more church events! For more details, please contact the Children’s Church Co-ordinator (see Contact Us). The Youth Group is open to all young people from the local area aged 11 to 18. It meets on Sunday evenings between 6.45 and 8.30, usually in the church hall but sometimes elsewhere. Emails are sent out each week with an update on where we are next meeting and what we are doing. Some of the members are involved in the church in other ways (for example, members of the choir, servers and helpers in Children’s Church) but you are very welcome even if you never go to church. For more details, please contact the Youth Group leader (see Contact Us). The bells are rung on Sunday mornings (9.00 for 9.30 service) and for other feasts and high days in the church’s calendar. There is a quarter peal rung for evening service once a month. The bells are also rung for weddings. Practices are on the 2nd, 3rd and 5th Wednesdays from 7.30 to 9.00, and on the 1st and 4th Wednesdays at Hemingford Grey. 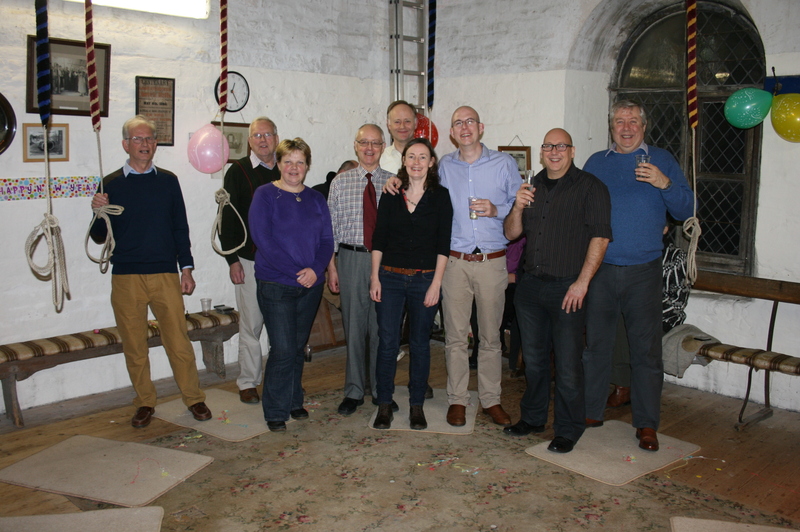 The bellringers are a friendly group who welcome visitors and anyone else who would like to look at the bells or consider learning to ring. For more details, please contact the Tower Captain (see Contact Us). Our church is a participating member of ‘Churches Together in Huntingdon and Godmanchester’. Major activities include quarterly meetings, pulpit exchanges, bimonthly men’s and ladies’ breakfasts, Good Friday ‘Walk of Witness’, an ‘Easter Sunrise’ service, Huntingdon Area Money Advice, and a Christmas lunch for the lonely. For a detailed diary see website http://ctihg.org.uk/churches-together-diary. 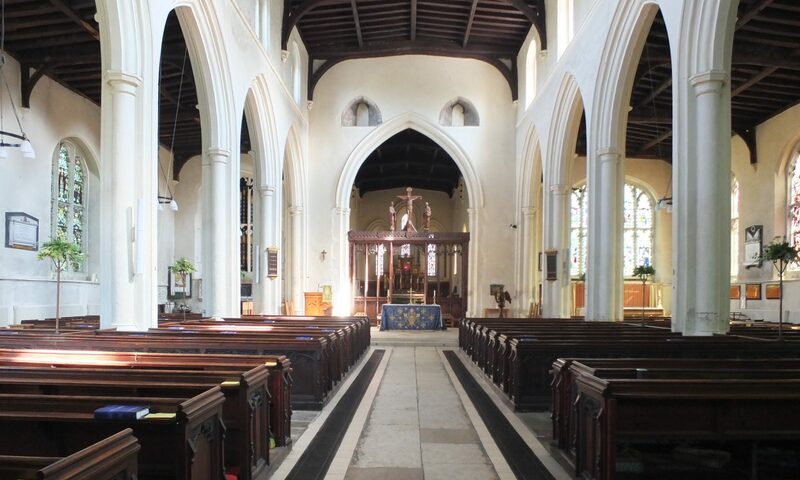 In addition, we join with other churches in Godmanchester in local activities which include Tuesday lunches for senior citizens, the food bank at the Baptist Church, the tea tent on Gala Day and a ‘Worship in the Park’ open air service each July. The parish is fully committed to safeguarding all those who attend our worship and the other activities that we offer. We follow the policy of the House of Bishops, ‘Protecting All God’s Children’ (2010), and the Diocese of Ely Policy and Procedures (2011). We seek to create a culture where everyone is included, respected, listened to, and taken seriously. In particular we accept the prime duty of care for children and vulnerable adults. To this end we have appointed a Safeguarding Co-ordinator to ensure that what we do relates to up-to-date policies and procedures supplied by local and national authorities. For more details, please contact him (see Contact Us).